I had a pile of 15 bananas from our family reunion that were changing from spotted to black and oozy way too quickly. I decided that yesterday afternoon was the time to turn them into some whole wheat banana bread. I started grabbing my ingredients when…dunh dunh DUNH! I forgot to soften the butter! How often has this happened to you? For me, it’s happened more times than I can count. Fortunately, a friend of mine who bakes all the time passed along a great tip, and no, it’s not the microwave. (DON’T microwave your butter to soften it, bad idea! Even if it looks solid it’s still melted and the emulsion you need for baking has been broken. 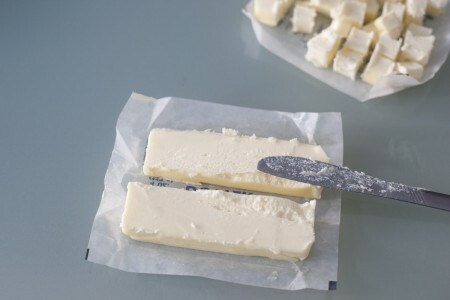 Check out this article on the magic of butter. 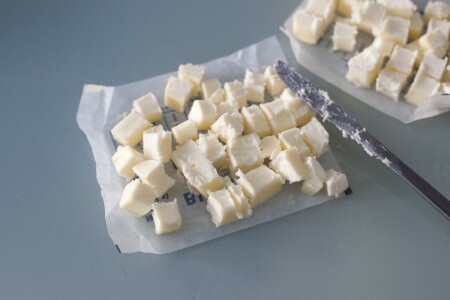 )Whenever I need to soften butter quickly, I use this simple trick, so I’m finally sharing it with you in a step by step photo tutorial. Why yes, it is because I love you! 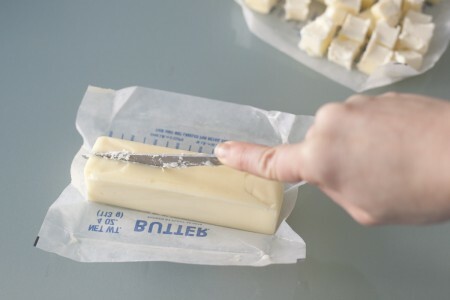 First, unwrap your stick of butter and use a knife (any knife should work but a sharp one will be easier of course) to cut it in half lengthwise. Now you have two long pats of butter. Cut both of them in half lengthwise to make four long columns of butter. 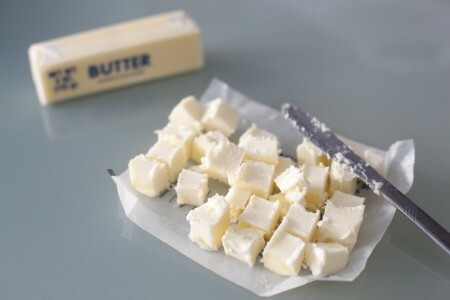 Now make seven or eight cuts along the columns to make small cubes of butter. TADA! You now have A LOT more surface area exposed to the warm air. 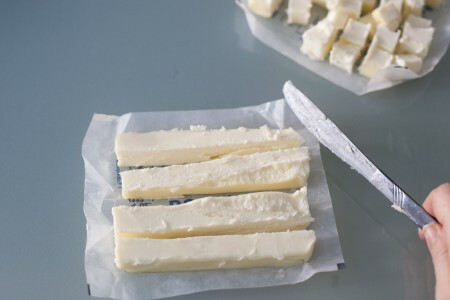 This will help your butter to soften faster. i use a cheese grater for frozen butter! works like a champ. 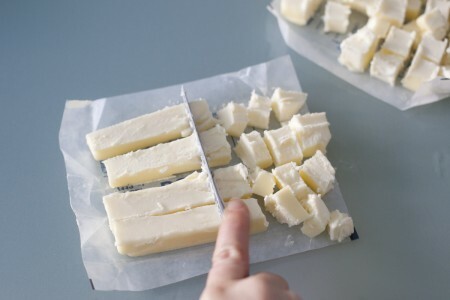 same basic idea… and frozen butter grates easier without melting everywhere. What a great idea! I always forget to soften butter ahead of time. I will be definitely trying this at some point I’m sure! Thanks for the tip. Feeling a bit dumb for not having thought of this on my own… Thanks for the tip! I never remember to soften butter, and am now in the habit of just popping the butter in the microwave on 50% power until the stick is soft. I can’t wait to try. I too typically use the microwave!